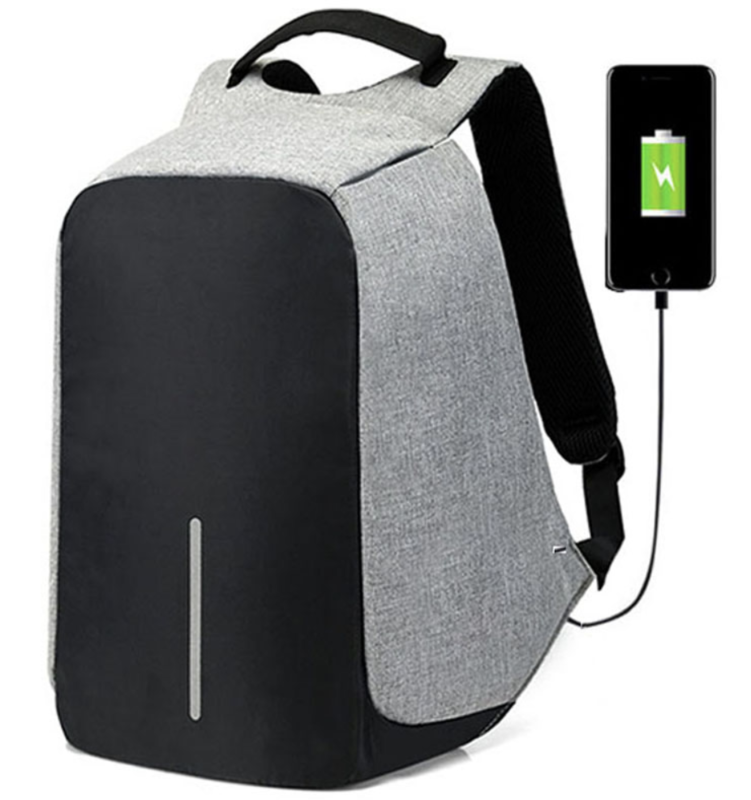 KEEP YOUR BELONGINGS SAFE WITH The Sekai ANTI-THEFT USB CHARGING BACKPACK! The Sekai Anti-Theft Backpack will hold just about anything you need while keeping it all secure with its enhanced safety features. Don't worry about potential thieves ever again! Our backpack's hidden zipper closures and illuminating safety strips will make it EXTREMELY difficult for any potential thief to steal from you! This comes in extremely handy if you're the adventurous kind of traveler. We've made sure the Sekai Anti-theft backpack could fit anything you might need using its patented storage design. This includes a camera pocket, laptop and tablet compartments, a phone pocket, as well as the main storage compartments. In addition to looking classy, you can also charge your phone on-the-go with our backpack's integrated USB port. Simply plug it into a power bank as shown above and you're ready to continue your journey! Worried about somebody cutting open your Sekai Anti-theft backpack? Not to worry! Our backpack had 5 layers of protection from cuts, it's almost IMPOSSIBLE to cut open. The Sekai Anti-Theft Backpack is the perfect gift for a close friend or family member who's a travel enthusiast. A gift that will definitely be remembered, show them that you care about their safety! We truly believe we make some of the most innovative products in the world, and we want to make sure we back that up with a risk-free ironclad 30 calendar day guarantee. We have a 24/7/365 ticket and e-mail support. Please contact us at Support@Sekainosekai.com if you need assistance. Click BUY IT NOW to grab yours now! "I love the Sekai Anti-theft backpack!" "Sekai no Sekai is a really special brand." "Their Hero Academia stickers are awesome!" Sekai no Sekai is a brand bringing together Japanese design and modern composition. We strive to create the highest quality products and photos. Contact us at Support@sekainosekai.com with any questions.